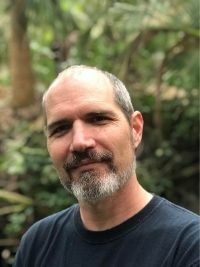 Jason Evans is an interdisciplinary systems and landscape ecologist broadly interested in the emergent geo-spatial interfaces between human and natural systems. Jason Evans is an interdisciplinary systems and landscape ecologist broadly interested in the emergent geo-spatial interfaces between human and natural systems. Most of his current research projects involve collaborations with several regional Sea Grant programs to assist local governments along the southeastern U.S. coast with sea level rise adaptation. Communities Evans is working with on such work include: Monroe County and the Village of Islamorada, Florida; St. Marys and Tybee Island, Georgia; and Hyde County, North Carolina. Another body of his recent research has focused on land cover change, wildlife habitat and life cycle assessments for various bioenergy systems (including ethanol, biogas, and wood pellets) across the U.S. Evans also has extensive experience and very strong ongoing interest in the ecology, management and restoration of Florida springs ecosystems. Evans, J.M., J. Calabria, T. Borisova, D.E. Boellstorf, N. Sochacka, M.D. Smolen, R.L. Mahler, and L.M. Risse. 2015. Effects of local drought condition on public opinions about water supply and future climate change. Climatic Change 132:193-207. Hauer, M.E., J.M. Evans, and C.R. Alexander. 2015. Sea-level rise and sub-county population projections in coastal Georgia. Population and Environment 37:44-62. Evans, J. M. 2013. Pistia stratiotes L. (water lettuce) in the Florida Peninsula: Biogeographic Evidence and Conservation Implications of Native Tenure for an 'Invasive' Aquatic Plant. Conservation and Society 11:233-246. Evans, J. M., Fletcher, Jr., R. J., Alavalapati, J. R. R., Smith, A. L., Geller, D., Lal, P., Vasudev, D., Acevedo, M., Calabria, J. and Upadhyay, T. 2013. "Forestry Bioenergy in the Southeast United States: Implications for Wildlife Habitat and Biodiversity." National Wildlife Federation and Southern Environmental Law Center, Washington, D.C.
Evans, J. M. and Geller, D. 2012. "Biodiversity in Biofuels Production - Are We Doing Enough?" Biofuels 3:627-630. Rota, C., Fletcher, Jr., R. J., Evans, J. M. and Hutto, R. L. 2011. "Does Accounting for Imperfect Detection Improve Species Distribution Models?" Ecography 34:659-670. Fletcher, R. J., Robertson, B. A., Evans, J. M., Doran, P., Alavalapati, J. and Schemske, D. 2011. "Biodiversity Conservation in the Era of Biofuels: Risks and Opportunities." Frontiers in Ecology and the Environment 9:161-168. Evans, J. M. and Wilkie, A. C. 2010. "Life Cycle Assessment of Nutrient Remediation and Bioenergy Production Potential from the Harvest of Hydrilla (Hydrilla verticillata)." Journal of Environmental Management 91:2626-2631. Evans, J. M., Fletcher, R. J. and Alavalapati, J. 2010. "Using Species Distribution Models to Identify Suitable Areas for Biofuel Feedstock Production." Global Change Biology Bioenergy 2:63-78. Heffernan, J. B., Liebowitz, D. M., Frazer, T. K., Evans, J. M. and Cohen, M. J. 2010. "Algal Blooms and the Nitrogen-Enrichment Hypothesis in Florida Springs: Evidence, Alternatives, and Adaptive Management." Ecological Applications 20:816-829. Evans, J. M. and Cohen, M. J. 2009. "Regional water Resource Implications of Bioethanol Production in the Southeastern United States." Global Change Biology 15:2261-2273.